A New York City man faces a fine of $23,000 for operating on Amateur Radio frequencies without a license and for transmitting a false officer-in-distress call on a New York City Police Department (NYPD) radio channel. The FCC issued a Notice of Apparent Liability for Forfeiture (NAL) on August 31 to Daniel Delise of Astoria. It details a history of complaints and alleged illegal radio operation on Delise's part that dates back to 2012. "The Commission previously warned Mr Delise that unlicensed operation of this station was illegal," the FCC said in the NAL, adding that his deliberate disregard of the Communications Act and the Commission's warning "warrants a significant penalty." ARRL Hudson Division Director Mike Lisenco, N2YBB, credited the intervention earlier this year of New York Rep Peter King with getting the case "off the back burner and up to the front of the line." Lisenco and ARRL General Counsel Chris Imlay, W3KD, met with the Republican congressman in January to discuss ongoing interference issues in the Greater New York City/Long Island area. King subsequently wrote FCC Chairman Tom Wheeler to urge "timely and visible enforcement." Lisenco also praised the direct involvement of FCC Enforcement Bureau Region 1 Director David C. Dombrowski as well as "a system of grass-roots reporting," coordinated by Richie Cetron, K2KNB, an Official Observer and Assistant Hudson Division Director. Lisenco said FCC Special Counsel Laura Smith "has been a great help in keeping us informed and in the loop." The FCC reported receiving "numerous complaints" that Delise was transmitting on different frequencies, and issued him two official warnings in 2012. The Commission said complaints about Delise continued through 2013 and 2014, but, the FCC said, an investigating agent "was not able to confirm a rule violation." Still more complaints alleged that Delise was transmitting without authority on 461.225 MHz, a frequency licensed to NYC City Wide Disaster Services, the FCC recounted. In 2014, the FCC received 10 more complaints identifying Delise by name, plus another nine in 2015 and one more in 2016. Last April, field agents monitoring in Delise's Astoria neighborhood detected a strong voice transmission on 147.96 MHz. They were able to track the signal to the building where Delise resided, and, ultimately, went to his apartment and confronted him. The FCC said Delise admitted making the transmissions on 147.96 MHz and acknowledged that he did not have an Amateur Radio license. As a result, the FCC's New York Field office issued a Notice of Unlicensed Operation. 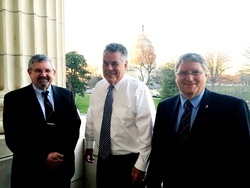 From left to right, ARRL General Counsel Chris Imlay, W3KD; Rep Peter King (R-NY), and ARRL Hudson Division Director Mike Lisenco, N2YBB, met in January in Washington. A couple of weeks later, the NYPD informed an FCC field agent that it had taken Delise into custody for "sending out false radio transmissions" over the NYPD radio system and for possessing radios capable of operating on NYPD frequencies, in violation of state law. According to the NYPD, a call had gone out reporting an officer in need, and the responding officer spotted Delise speaking into a radio. The police report said Delise admitted to making the transmission, and that he told officers that he had more radios and would continue to transmit on police frequencies. After obtaining a warrant, the NYPD confiscated all radio transmitting equipment from Delise's apartment, including 14 radios capable of operating on NYPD frequencies. Delise could have faced a penalty of more than $140,000, under the provisions of the Communications Act. The NAL gave Delise 30 days to pay the fine or to file a written statement seeking a reduction or cancellation of the proposed forfeiture. According to Lisenco, Delise is now serving prison time resulting from the false police call and his guilty pleas to other charges. Read more. The Hurricane Watch Net (HWN) activated for Tropical Storm Hermine on September 1. The storm was expected to develop into a hurricane before making landfall on Florida's Gulf Coast. The net operates on 14.325 MHz until 0100 UTC, then shifts to 7.268 MHz, although it may operate on both frequencies simultaneously. "It seems we've been tracking this system, which began as a tropical disturbance, for nearly 2 weeks," HWN Manager Bobby Graves, KB5HAV, said on September 1. A Hurricane Warning went into effect along parts of Florida's Gulf Coast. 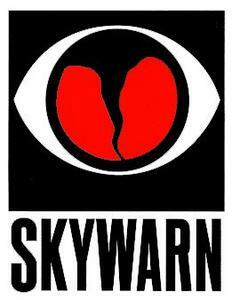 The National Weather Service (NWS) said interests along the US East Coast should monitor the progress of this system. Florida's Emergency Operations Center was at full activation, and evacuation shelters were put on standby. ARRL Pacific Section Emergency Coordinator Clement Jung, KH7HO, said the NWS would activate SKYWARN for Hurricane Lester at 1800 UTC on Saturday, September 3, continuing until 2400 UTC on Sunday, September 4. All four Amateur Radio Emergency Service (ARES) districts on the Big Island of Hawaii remained in active status for Hurricane Lester, to support each other and served agencies. KH6SW has been active from the NWS Honolulu Forecast Office on HF, VHF, and UHF. The NWS reported that a weakening Madeline, now a tropical storm, passed "well south of the Big Island," with maximum sustained winds of 50 MPH, but the storm dumped a lot of rain on the Big Island, and a flood advisory was in effect for some areas. Predictions called for up to 10 inches of rain, and possibly more. Hurricane Lester, now a category 2 storm, continued its westward movement toward the Hawaiian Islands, boasting maximum sustained winds of 110 MPH and moving at 14 MPH. Some weakening was forecast through late Friday. No watches or warnings were in effect. ARES teams remained ready to initiate local repeater nets, holding 146.52 MHz simplex in reserve in case repeaters go down. Read more. Fifteen top US on-foot hidden transmitter hunters have joined more than 400 other competitors representing 39 nations taking part in the 18th World Amateur Radio Direction Finding (ARDF) Championships in the Black Sea resort of Albena, Bulgaria. Competitors are divided into six age categories for males and five for females, in accordance with International Amateur Radio Union (IARU) rules for ARDF competition. Team USA includes nine men and six women from six states. Ranging in age from 26 to 74, they won their places on the team by their excellent performances in the 2016 USA ARDF Championships in Texas and the 2015 USA ARDF Championships in Colorado. "This is the 10th time that the US has fielded a team for the World Championships, which take place in even-numbered years in various countries," said ARRL ARDF Coordinator Joe Moell, K0OV. "The last time that Bulgaria hosted was in 2006, when Team USA won its first World Championships medal." That year, Nadia Scharlau of North Carolina captured bronze in the 80 meter classic event, which required her to find four transmitters scattered within 2700 acres of forest. Team USA picked up two medals in the optional ARDF World Cup competition, which precedes the World Championships. In the 80 meter classic competition, Vadim Afonkin, KB1RLI, of Newton, Massachusetts, placed third in the M40 category, capturing a bronze medal. The next day, Alla Mezhevaya of Rockford, Illinois, took the silver in the 2 meter classic competition in the W35 category. "We're off to a great start!" Moell allowed. Five Team USA members are participating in the 3 days of World Cup events. 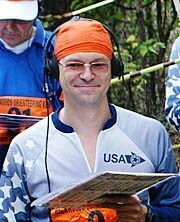 Vadim Afonkin, KB1RLI, at an earlier ARDF event. World Cup competitors get a day of rest on Saturday, September 3, as the remaining World Championships participants arrive. The following day is devoted to foxoring, the first official World Championships event. Participants in all events seek medals both as individuals and as members of national teams, which are limited to three participants per age/gender category from each country. The World Championships continue with the sprint on Monday, September 5, and classic events on Tuesday and Thursday; Wednesday is set aside as a free day and cultural tour, offering a break between the classics. Banquets and medal award ceremonies follow each day's competition, and everyone goes home on Friday, September 9. The latest information on how Team USA is faring in Bulgaria will be posted on Moell's "Homing In" website. The Bulgarian Federation of Radio Amateurs (BFRA) is hosting the event. Visit Moell's Homing In website for more information on ARDF. "Software Defined Radio" is the topic of the latest (August 25) episode of the "ARRL The Doctor is In" podcast. Listen...and learn! If you've never listened to a podcast before, download our beginner's guide. Coming up on September 8: "Coaxial Connectors." The National Park Service Centennial last week was a great celebration of our National Parks. Amateur Radio operators played their part, transmitting from an amazing 174 units during the Centennial Week, as part of ARRL's National Parks on the Air (NPOTA) program. There were 77 units active on August 25, the actual date of the NPS Centennial, and 286 activations resulted in 14,559 QSOs between August 22-28. Thanks to all the NPOTA activators who made this possible! The first activation of the newly-created Katahdin Woods and Rivers National Monument (MN84) in Maine occurred on August 30, just 6 days after President Obama created the monument. Fred Kemmerer, AB1OC, and his wife Anita, AB1QB, had to work "split" to handle the pileups. They will return to MN84 on September 3, and others are planning to activate this new one as well. There are 41 activations are scheduled for September 1-7, including Hovenweep National Monument in Utah, and Weir Farm National Historic Site in Connecticut. ARRL CEO Tom Gallagher, NY2RF -- a New York City Marathon volunteer since 1981 -- is urging radio amateurs in the New York metropolitan area to join him on the race course this fall to, as he put it, "participate in one of the world's most important public service events." On Sunday, November 6, Amateur Radio volunteers will provide communication support for the 46th running of the TCS New York City Marathon. The Marathon starts near the Verrazano-Narrows Bridge on Staten Island and continues through Brooklyn, Queens, and the Bronx before finishing 26.2 miles later in Manhattan's Central Park. Amateur Radio volunteers provide emergency medical and logistics communication support throughout the course, working in concert with the New York Police Department and Fire Department of New York Emergency Medical Services (EMS) to aid the more than 50,000 athletes expected to take part this year. "Additional ham radio operators are still needed to staff some mile points along the course as well as some post-finish locations inside Central Park," said TCS NYC Marathon Amateur Radio Communications Director Deborah Kerr, KC2GPV. Radio amateurs interested in serving the 2016 TCS New York City Marathon should register online. The New York City Marathon originated in 1970 as a low-budget event confined to Central Park. That first marathon attracted 127 entrants. In 1976 -- the US Bicentennial Year -- the marathon was expanded to encompass the city's five boroughs. For many years, Steve Mendelsohn, W2ML (SK), served as the Marathon's communications director, overseeing the approximately 400 ham radio volunteers supporting race communications. Inducted into the CQ Amateur Radio Hall of Fame a week before he died in 2012, Mendelsohn had served as ARRL Hudson Division Director and as ARRL First Vice President. "I feel as though I have been given this amazing opportunity to continue Steve's legacy and continue to give other hams the opportunity to enjoy an event that I hope will continue in the years to come," Kerr said. The Amateur Radio on the International Space Station (ARISS) program is seeking proposals from schools and formal or informal educational institutions and organizations -- individually or working in concert -- to host Amateur Radio contacts next year with ISS crew members. The window to accept proposals opened on September 1, and the deadline to submit a proposal is November 1. ARISS anticipates that contacts will take place between July 1 and December 31, 2017. Crew scheduling and ISS orbits will determine the exact contact dates. The ARRL website includes proposal information and documents. Scheduled ham radio contacts with ISS crew members allow students to interact with an astronaut or cosmonaut through a question-and-answer format. 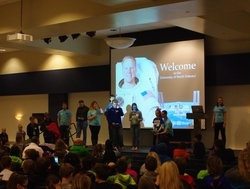 Participants and the audiences alike can learn firsthand from the astronaut or cosmonaut what it's like to live and work in space and learn about space research on the ISS. Students will be able to observe and learn about satellite communication, wireless technology, and radio science. 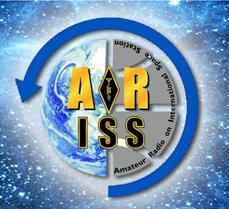 An ARISS educational contact at the University of North Dakota. To help organizations prepare proposals, ARISS offers 1-hour online information sessions, designed to provide more information regarding US ARISS contacts and the proposal process, as well as provide an avenue for interested organizations to ask questions. Attending an online Information Session is not required, but is strongly encouraged. Information Sessions for the current application window will take place on Tuesday, September 20, at 4 PM ET (2000 UTC), and Wednesday, September 28, at 7 PM ET (2300 UTC). Contact ARISS to sign up and take part. Read more. The ARRL will accept nominations until November 1 for the George Hart Distinguished Service Award. The award honors long-time ARRL Communications Manager George Hart, W1NJM (SK), the chief developer of the National Traffic Systemâ¢ (NTS). An ARRL Charter Life Member, Hart spent more than 4 decades as a member of the ARRL Headquarters staff and continued to be an active radio amateur and regular Field Day participant in his retirement. In 1984, the ARRL Board of Directors named Hart as an ARRL Honorary Vice President. 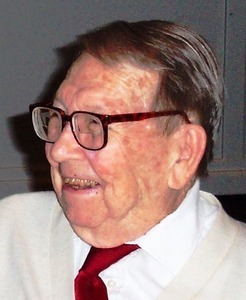 He died in 2013 at the age of 99. Established by the ARRL Board of Directors in 2009, the George Hart Distinguished Service Award is given annually to an ARRL member for exemplary service to the League's Field Organization. Selection criteria include NTS operating record, Amateur Radio Emergency Service (ARES) participation, or service to the ARRL Field Organization in terms of appointments and/or leadership positions held. Nominations should thoroughly document the nominee's lifetime activities and achievements with the ARRL Field Organization. Nominees are expected to have at least 15 years of distinguished service. The Programs and Services Committee will serve as the Review Committee, and the ARRL Board of Directors will make the final decision at its Annual Meeting in January. Submit nominations and related supporting material and letters of recommendation via e-mail or USPS mail to ARRL Field Organization Team Supervisor Steve Ewald, WV1X, 225 Main St, Newington, CT 06111. Recipients receive an engraved plaque and will be profiled in QST. 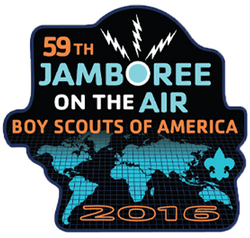 Scouting's Jamboree on the Air (JOTA) officials are asking JOTA 2016 participants not only to register for this year's event, but to follow up with a post-JOTA report. As an incentive, all stations filing reports will automatically be entered to win an Icom ID-51A handheld transceiver. The 59th annual JOTA takes place October 14-16. "Last year we had 400 stations register but only 200 stations file a report," said JOTA Coordinator Jim Wilson, K5ND. "We're going to improve that this year. Icom America and Ray Novak, N9JA, have stepped up to help us with a considerable incentive." Wilson pointed out that only BSA stations will be eligible to win. "These prizes are for the station. It's up to you to determine who gets it or how you share it," he said. "Of course, everyone who files a report will receive the 2016 Jamboree on the Air Certificate." The JOTA reporting system will open right after JOTA weekend; reports are due on November 1, with the prize drawing held that week. "Designate someone on your team to collect the information needed for your report," Wilson recommended, pointing to a list of "best practices" to ensure a report that "truly captures your event." JOTA Guidelines for Amateur Radio Operators are available online. Among other advice, the operating guide points out that US Scouts may speak directly with Scouts in other countries as long as a third-party agreement exists between that country and the US. A Scout station spotting cluster will also be available this year, to show who's on the air and where. Dave Edwards, KD2E, and Andy O'Brien, K3UK, have developed a Scout scheduling page for teams to post their frequencies. JOTA stations have been asked to avoid other operating activities taking place over the October 14-16 weekend, including the Worked All Germany Contest. Four state QSO parties are also taking place over JOTA weekend -- Illinois, Iowa, New York, and South Dakota. Wilson also asked for the cooperation of contesters. "As you participate in these or other contests that weekend, please keep in mind that Scouts will be on the air at the same time," Wilson advised competitors. "For most, this will be their first experience with Amateur Radio. Please be courteous and, where possible, provide some contest-free space around their ongoing QSOs near the Scouting frequencies. After all, they are the next generation of ham operators -- or not." It's been 20 years since the Fuji-OSCAR 29 (FO-29) satellite launched on August 17, 1996, from Tanegashima Space Center. Its 100-kHz-wide analog Mode V/U transponder continues to serve the Amateur Satellite community, although its packet BBS and digitalker no longer function. With an apogee of 1323 kilometers, FO-29 provides satellite operators with excellent DX opportunities every few months. Intercontinental contacts are regularly reported, including contacts between Japan and Alaska and between North America and Europe. While the theoretical maximum range at apogee is 7502 kilometers, the transponder's excellent sensitivity and solid 1 W downlink signal allow that distance to be stretched when conditions are right. The longest distance covered via FO-29 was an unscheduled 7599.959 kilometer (approximately 4712 mile) contact on August 27, 2015, between Dave Swanson, KG5CCI, of Little Rock, Arkansas (on Shinnal Mountain in EM34), and Christophe Lucas, F4CQA, in Trouy, France (NJ17). Swanson answered F4CQA's CQ. The 2015 K1N DXpedition to Navassa Island made 29 contacts during two passes of FO-29, activating that extremely rare DX entity on satellite for the first time since 1993, when Don Roland, VE1AOE, reported logging between 400 and 500 contacts as part of the W5IJU DXpedition to Navassa -- making the bulk of them on AO-13. FO-29 remains the most widely used linear transponder satellite and an ideal starting point for beginners. Uplink for the mode V/U (J) inverting linear transponder is from 145.900 to 146.000 MHz, SSB or CW. The downlink is 435.800 to 435.900 MHz. The CW beacon transmits on 435.795 MHz. Ham Radio Outlet (HRO) opened its latest Amateur Radio retail outlet at the site of the former Amateur Electronic Supply (AES) headquarters store at 5710 West Good Hope Road in Milwaukee on August 27. AES closed its Milwaukee, Las Vegas, Cleveland, and Orlando outlets on July 28, following a surprise announcement 4 weeks earlier that it was going out of business after 59 years as a ham radio equipment supplier. A couple of weeks later, HRO announced plans to make over the Milwaukee outlet and reopen it as its latest "super store" -- now HRO's largest. Several former AES Milwaukee employees are now working for HRO, which undertook a rapid remodeling project to make the store over in its own brand. Dan Vanevenhoven, N9LVS, visited the HRO Milwaukee location on opening day, camera in hand, and he posted video of his brief tour on YouTube. The new HRO Milwaukee outlet offers opportunities to test drive gear before buying. "One of the first things that caught my eye was the radio demo area," Vanevenhoven says in his video. "They've actually got radios that you can try out." A row of eight carrels, each with a different piece of gear ready to use, stretches along part of one wall in the store. The Milwaukee store is 5000 square feet of Amateur Radio equipment, antennas, books, and accessories. A family-owned business, HRO is the world's largest Amateur Radio dealership, with 14 locations from New England to the West Coast. It opened a new outlet in Plano, Texas, in early 2015 and relocated and expanded its Portland, Oregon, store, which opened in late July. HRO has planned the weekends of September 10, 17, 24 and October 1 for the grand opening of its Portland store, and October 1, 8, 15, and 22 for the grand opening of the new Milwaukee outlet. Tad Cook, K7RA, Seattle, reports: Over the August 25-31 reporting week, average daily sunspot numbers rose from 33.9 to 60.1, and average daily solar flux increased from 79.6 to 87.9, compared to the previous 7 days. Over the same period the average planetary A index declined from 9.7 to 8, and the mid-latitude A index went from 8.7 to 6.9. That's a nice combination, lower geomagnetic activity and higher solar activity. 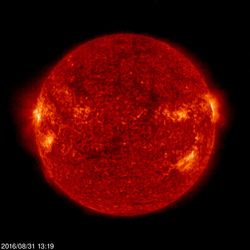 As solar activity declines overall, there will be brief respites when sunspots increase, but only temporarily. Predicted solar flux is 105 on September 1-7; 95 on September 8; 78 on September 9-10; 80 on September 11; 82 on September 12-16; 80 on September 17-21; 82 on September 22; 85 on September 23-25; 82 on September 26-27; 85 on September 28-29; 80 on September 30 and October 1, and 78 on October 2-7. The predicted planetary A index is 18 on September 1-2; 15 on September 3; 12 on September 4-7; 10 on September 8; 5 on September 9-12; 10 and 8 on September 13-14; 5 on September 15-16; 8, 5, 15, 12, and 8 on September 17-21; 5 on September 22-24; 20, 18, 10, 15, 12, 10, and 8 on September 25-October 1, and 15 on October 2-3. The autumnal equinox is only 3 weeks away, so HF conditions are likely to improve. Sunspot numbers for August 25-31 were 39, 44, 52, 64, 67, 64, and 91, with a mean of 60.1. The 10.7 centimeter flux was 78.7, 81.9, 83.9, 85.4, 87.8, 100.4, and 97.5, with a mean of 87.9. Estimated planetary A indices were 11, 7, 5, 3, 6, 16, and 8, with a mean of 8. Estimated mid-latitude A indices were 9, 5, 5, 4, 5, 12, and 8, with a mean of 6.9. This weekly Solar Update in The ARRL Letter is a preview of the Propagation Bulletin issued each Friday.